Do you know that Mother’s Day was championed by a woman who was never married and never had children? 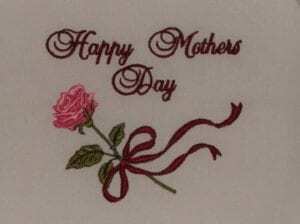 History tells us that the founder of Mother’s Day was Anna Jarvis, a school teacher. Anna wanted to honor her deceased mother Ann, who had unsuccessfully attempted to establish Mothers Friendship Days. She wanted Mothers Friendship Days to be a support group to reunite families that had been divided during the Civil War because it was way to deal with the aftermath of the war. Mother Jarvis wanted an annual memorial for mothers, who she felt bore the incredible pain of the loss of sons and husbands in the Civil War, more than anyone else. Mother Jarvis died in 1905 without seeing her dream fulfilled. Therefore, her daughter Anna would continue her mother’s efforts. In 1907 daughter Jarvis and her supporters persuaded her mother’s church in Grafton, West Virginia to celebrate Mother’s Day on the second anniversary of her mother’s death. This date just happened to be on the 2nd Sunday of May that year. Daughter Anna sent 500 white carnations to that church to be given to all of the mothers in the congregation in their honor. She chose the white carnation as the symbol for Mother’s Day because its whiteness stood for qualities like purity, innocence, sweetness and pure love, all of which Anna felt about her mother. How did Mother’s Day result? By the following year, Mother’s Day was being celebrated in Philadelphia. Daughter Anna and her supporters continued their letter writing campaign directed at ministers, businessmen and politicians, urging them to establish a national Mothers Day. By 1911, Mother’s Day was celebrated in almost every state in the nation. In 1914, President Woodrow Wilson made it official by proclaiming Mother’s Day a national holiday that was to be held each year on the 2nd Sunday of May. Unfortunately and as usual, corporate greed took over and in less than nine years after its inception, Mothers Day became totally commercialized. Anna Jarvis was so angry that she became an opponent of the holiday and filed a lawsuit, spending all of her inheritance fighting what she saw as an abuse of the celebration she had campaigned so hard for. She detested the purchase of greeting cards as she found that to be a sign of people being too lazy to write a personal letter. Ana Jarvis ended up growing bitter over what she perceived as the total corruption of the holiday she created. She abhorred the commercialization of the holiday and grew so enraged by it that she filed a lawsuit in 1923 to stop a Mother’s Day festival. She believed that her Mother’s day sentiment was being sacrificed for greed and profit. In 1923 She was even arrested for disturbing the peace at a war mothers’ convention where women were selling white carnations to raise money. This mockery of Mother’s Day was more than Anna Jarvis could take as she had implemented the use of White Carnations as the symbol for mothers portraying their pure love. Anna eventually lost her inheritance and all of her assets fighting the establishment who destroyed the real meaning of Mothers Day. Anna died alone in a sanatorium in 1948. Shortly before her death, Jarvis told a reporter she was extremely sorry she had ever started Mothers Day. Let’s get the corporate greed out of Mothers Day and instead of buying something as a last minute afterthought, let us honor our Mothers by making something special which requires a personal touch. Lets restore the true meaning of Mothers Day and honor our Mother’s for all they did for us.